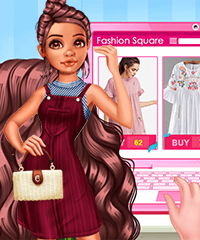 A game that is a little unusual, and it's more about shopping than it is about dressing up. You can't even see her in the clothes without buying them. But it is definitely fun, and quite a challenge, to be smart with the money you're allotted to be able to afford the outfits that you want!